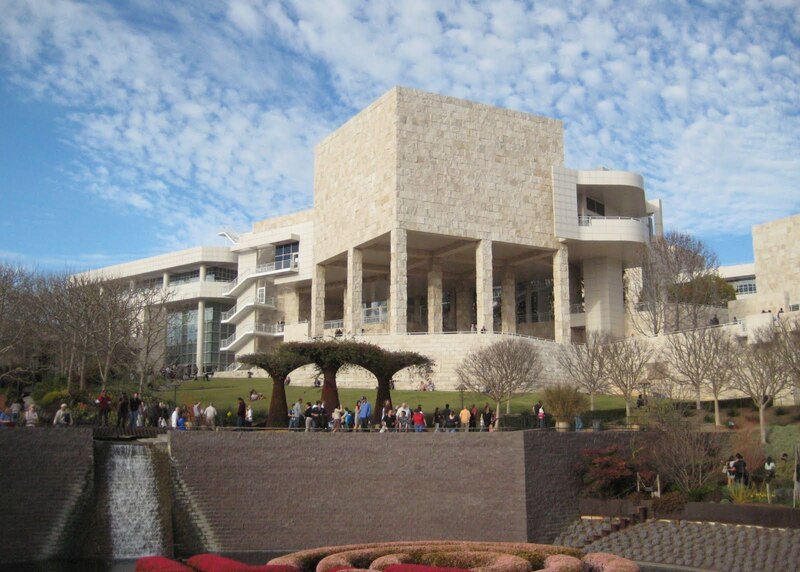 I have wanted to go to The Getty Center in Los Angeles since it opened in 1997. Since I was going to a friend's birthday in Culver City on Saturday night, it gave Anna and I the chance to stay the night and go on Sunday. After breakfast room service at our hotel, we drove up the 405 Freeway to Brentwood where we could see the white museum gleaming high on the hill. Parking in the garage at the bottom, we took the electric tram up to the Arrival Plaza. When we first arrived, Anna and I joined the Architecture Tour. Our guide led us through the less crowded areas on the north end between the Auditorium and the two administration buildings. We learned that the architect, Richard Meier, used the hill's natural ridges in his design of the center. She described how he repeatedly used a motif of three foot squares with the travertine limestone and other building materials to represent the area of personal space one normally desires. Originally planned to be built for a few hundred million dollars, it grew to 1.3 billion before it was finished. The main museum with its five connecting pavilions are separated from the Research Institute and the main restaurant by the Arrival Plaza and Central Gardens, but all of the buildings connect underground. After eating a snack at the Garden Terrace Cafe with it's beautiful views, we explored the exhibition of photography from the mid-1800s by Felice Beato. One of the earliest photographers of Asia during British Colonial times. He was also one of the first war photographers, documenting the Opium and Crimean Wars and the British crushing a rebellion in India. A photo of the Temple of Heaven in Beijing gave me a double-take. Except for the weeds on the stairs of his photo, it looked exactly the same as a 2007 photo I took. A nearby gallery of modern photography from Chinese artists was an interesting contrast. Walking around the museum, I enjoyed how the buildings and stand-alone walls framed the views of the center's gardens, fountains and skyline. One of my favorites was the view of the long travertine wall extending south toward the circular cactus garden above the city. Except for a bit of low-lying smog in the distance, it was a beautiful day with blue skies and scattered clouds. We could see the high rises of Studio City nearby with Downtown Los Angeles off in the distance. When the sun set later in the day, it lit up the snow-covered San Bernardino Mountains to the East. At 3:30, Anna and I took the Sculpture Tour with an art student who works at the Center. Leading us through the pavilions to a few select pieces, she described their importance and history. Near the end, she showed us two amazing wood carvings from the time of the French Revolution. The popular artist was a loyalist to the monarchy and the intricate details held many symbolic images from the ongoing events. The first representing the King defending France against the revolutionaries and the other hoping for a compromise with a Constitutional Monarchy between the King and a new Legislative Assembly in the interim period. We ended the tour on the outdoor sculpture terrace. Except for photography, the museum's collection is from pre-20th century Europe. In his trust, J. Paul Getty specified that no money could be used to purchase Modern, Asian or American art. Any of the museum's pieces that fall into those category had to be gifted to the Center. All the modern outdoor sculptures spread throughout the center were donated to the museum by Fran and Ray Stark. After the tour, we walked down the zigzagging path through the trees to the waterfall in the Central Garden. It is a great place to relax and enjoy the sun. We visited one more exhibition before the center closed, the Polychrome Sculpture of La Rodana. She was a female Spanish artist during the Baroque period and the exhibit showed step-by-step how the painted wooden sculptures were constructed. I want to go back someday. It feels like we spent most of our time admiring the outside of the museum, absorbing the amazing views between the brilliant white buildings, long travertine walkways, fountains and gardens. We never even made it to the second floor of the main pavilions where the majority of the painting are displayed. We left after five as the sun was setting, walking down the hill instead of waiting for the tram. Driving home, Anna and I went out of our way to cross over to the I-5 to eat at Portillo's again. I was craving one of their Italian Beef Sandwiches. 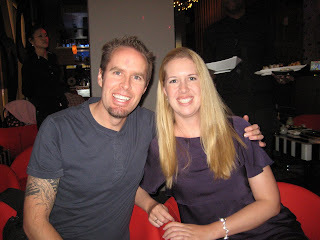 I have included some pictures below from Cherita's Birthday on Saturday night at the YEN Japanese Restaurant where we had a private karaoke room. We drove up to Los Angeles early for Cherita's party to visit with some of Anna's friends she mentored while going to school at USC. After we met at their house in South Central LA, we all drove over to the nearby university so Anna could show us around and hang out. It is a beautiful campus to walk around with no cars inside the grounds. 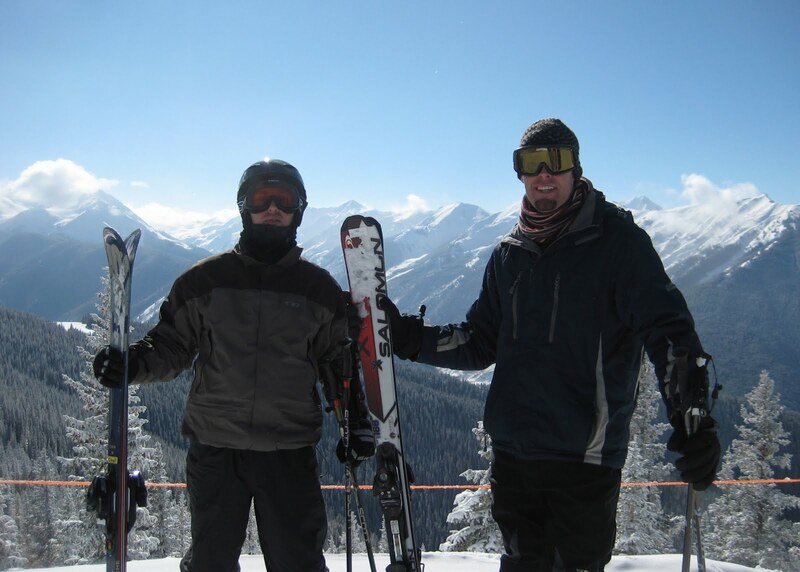 When my friend, Craig, invited me on his ski trip to Aspen, Colorado, I jumped at the opportunity. It has been five years since I have last been skiing and I've never been there. Since he was flying from his home in New Zealand, we met up last Saturday at the Denver Airport. After spending the night at the nearby Hyatt, we picked up our rental car at 6am for our drive over the Rocky Mountains. 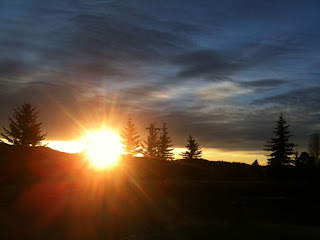 The sunrise greeted us with blue skies as we climbed the foothills outside Denver, illuminating the snowy peaks ahead. Crossing under the continental divide through the Eisenhower Tunnel (11,158'), we passed Vail and numerous other ski resorts on the western side of the Rockies. 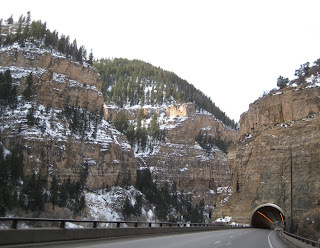 Sixteen miles outside Glenwood Springs, we entered the beautiful Glenwood Canyon. Carved by the Colorado River, steep canyon walls sprinkled with snow rose a thousand feet over our heads. Interstate 70 paralleled the river on an elevated roadway to protect the natural beauty. I had a frozen hand from sticking my camera out the window so many times to take pictures. We arrived at Snowmass at 11am. It is one of the four ski mountains around the town of Aspen, including Buttermilk, Aspen Highlands and the original Aspen Mountain. The Winter X Games were wrapping up in Buttermilk that very day. 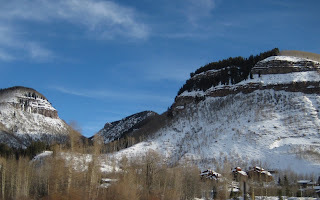 We were staying in the Snowmass Village because Craig was attending an Anesthesia Conference. Conveniently, all the seminars were scheduled for the early morning and late afternoon, allowing him full days for skiing. Our place, Laurelwood, was in the Upper Village, right on the slopes and three streets above the mall with all the restaurants and shops. After checking in and picking up our skis, we were on the mountain before 1pm. 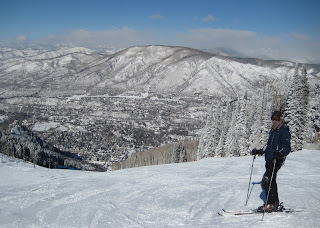 After describing myself as a high-blue, low black-diamond skier, I almost fell on my first turn down the hill to the lift. How embarrassing! Since Craig had only learned to ski last year and I had such a long lay off, we did a couple green runs off of the Elk Camp Gondola and Assay Hill to get our legs under us. Feeling more comfortable, we took the six-seat Village Express to the top of Sam's Knob (10,620') for some blue runs. We stayed on that side of the mountain for the rest of the day, only stopping for some hot chocolate at Sam's Smokehouse. It was a beautiful sunny day and there was a great view of the surrounding mountain ridges from the high-altitude restaurant. We skied until the lifts halted at 4pm. While Craig left for his evening seminar, I relaxed outside in the hot tubs right underneath our balcony. The smaller one was hotter but the other was the perfect temperature. When Craig got back at 7, we went for dinner at The Stew Pot. I was starving so I got a bowl of chili (the best) and the Old-Fashioned Beef Stew. They were delicious. Craig got the leg of lamb. After only two hours sleep the night before in Denver, both of us were ready to crash out by 8:30. We woke up to heavy snowflakes and colder temperatures on Monday. After a few great runs from the top of Elk Camp (11,325'), I had to stop to put on some toe warmers. I wanted to try the off-piste Long Shot run, but I would have had to hike up to reach it and the visibility was very poor. 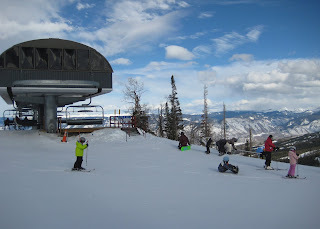 We stayed at Elk Camp, exploring all the blue runs, until we stopped for a late lunch at Fuel. We did another long run from the top of Sam's Knob before stopping for the day. It was freezing! Craig has friends from Australia who have a house in Snowmass so we met them with several others for dinner at il Poggio, a fancy Italian restaurant. Craig's friend, Greg, called it the Commonwealth Dinner because everyone besides me was from New Zealand, Australia, Canada or South Africa. As an American, I was made an honorary member. The falling snow had almost stopped on Tuesday, but it was overcast and very cold with a high of 5 degrees Fahrenheit. I made sure to add a third layer for warmth. We started the day going to the top of High Alpine (11,775') to ski the Green Cabin Run. I loved the fresh powder down the wide canyon, but Craig was exhausted trying to turn through it. He preferred the groomed runs so we split up until lunch so I could ski some more powder. I went to the top of Big Burn (11,835') and enjoyed the soft moguls of Sheer Bliss. Back up at Big Burn, I took the nutcracker lift that slowly pulled me up to the highest peak, The Cirque (12,510') where the sun slipped briefly through the clouds. I totally froze my nose on descent and had to warm it up with my scarf. After that, I covered my face with it for the rest of the week. Whenever I skied fast, it would freeze in the shape of my face. After stopping for more delicious chili, I took Craig down his first Black Diamond run, Slot, over on Sam's Knob. It was steep but nicely groomed. 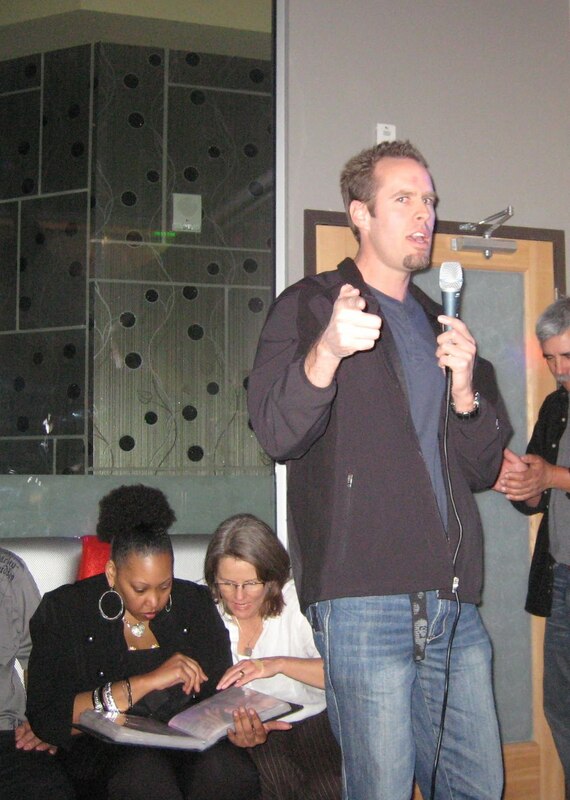 I noticed that there were tons of people from all over the world working in Aspen. For dinner, I had a very tender steak at The Artisan in the Stoneview Hotel. It is further down the village so we were really short of breath on the hike back up the hill to our place. Wednesday was the coldest day of the week at zero degrees. 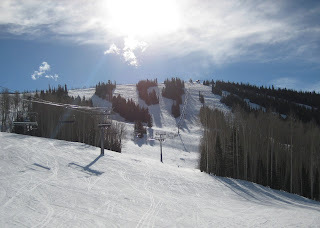 It was nice and sunny once more, but the slopes were deserted as we skied down to the mall to take the free bus to Aspen Mountain. It is the original Aspen ski area that rises directly out of the town center and it is one of the tougher places with no green runs. We received some screwy directions on the bus and got a bit lost in Aspen locating the gondola. I had my first crash, slipping on the icy road in my ski boots. The Silver Queen Gondola was great, watching the town of Aspen shrink below us as we climbed all the way to Sundeck (11,212') at the top. Just outside the lift house, there were amazing views of the continental divide and the Highland Bowl at nearby Aspen Highlands. We stayed on the top quarter of the mountain for awhile, riding back up the short Ajax Express. We soon discovered one of my favorite trails of the entire week, Ruthie's Run, tilted with nice spots for building speed and great views. I exclaimed to Craig, "Isn't this amazing!" 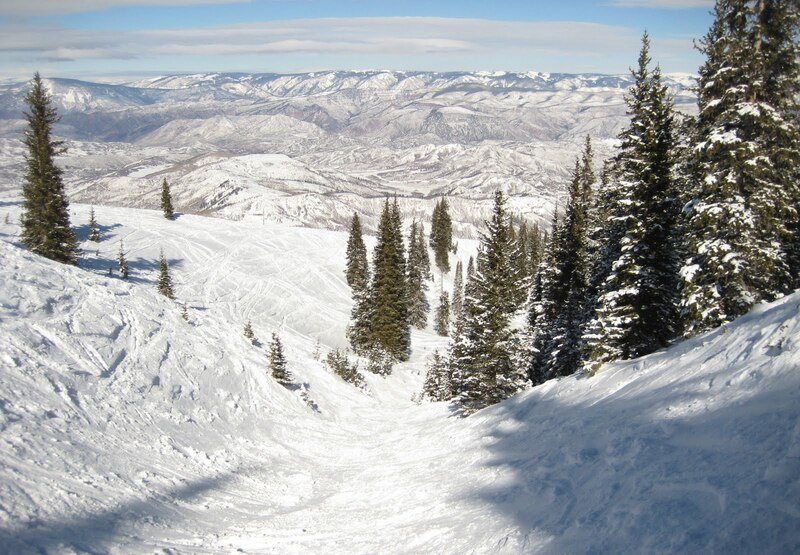 We skied it several times before heading down Magnifico Road to the Little Nell runs near the base of the mountain. I caught Craig on video in a nice wipe out as he shot past me. After a snack at Starbucks and some long distance tech support to my office back home, we headed back up the gondola to tackle our first black diamond on the mountain, FIS. Craig guessed that it stands for F**king Insane Slope. Aspen has a unique shape with a narrow canyon, Spar Gulch, that runs down the center of the mountain to the base. It was fun, but icy in the afternoon shadows. Taking the gondola up one last time, we spent the rest of the afternoon near the top until the lifts closed. We were one of the last ones off the slopes. The other night at our Commonwealth Dinner, we met Victoria and her husband who own a cafe in the town called Victoria's. We stopped there for hot chocolate and a pastry after skiing. As we ate, Greg and his wife popped in as well. After taking the comfortable bus back to Snowmass, we relaxed in the hot tub where we were visited a couple times by a curious fox. We then went for a giant pizza at Taster's. It warmed up for our final day of skiing on Thursday. With sunny skies we were able to see the beautiful scenery of Roaring Fork Valley beyond the peak of Elk Camp for the first time. I decided to hike up to Long Shot and meet up with Craig at the bottom of the 3.5 mile run in Creekside. I met two guys from Toronto on the 15 minute climb and we decided to stick together for safety reasons on the way down because we were the only ones on the isolated trail. It was great carving new tracks in the deep powder through the natural glades, but I started to regret skiing together about halfway down. This was their first day of skiing and I struggled to keep up, my legs worn out from five straight days. I was panting and sweating by the time I reached the Creekside lift. After a picnic lunch (amazing cookies) on the mountain provided by Craig's conference, I took him to the top of The Cirque. On the way down, I decided to take a quick detour through Garrett Gulch, a black diamond run in a long narrow ravine. 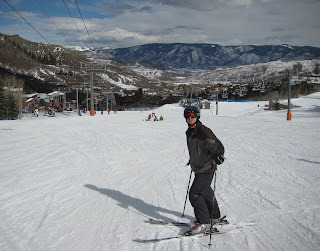 It looked fun at the top but it soon filled with huge exhausting moguls that really slowed me down. Worse, it popped out below the Big Burn lift where I was supposed to meet Craig and I had to hike back up a little ways. He had been worried when it took me so long to show up. We ended our last day at Sam's Knob, skiing the Black Diamond runs, Slot and Campgrounds. After returning our skis and relaxing in the hot tub, Craig and I went to the Aspen Airport to pick up the rental car and drive into town. We ate at the Hickory House. Everything was good, but their onion rings were the best I have ever eaten. I should have skipped the chocolate cake. I was so stuffed. The next morning, we woke up real early and got on the road to Denver by 4:30am. We made it back to the airport with an hour to spare for Craig's flight to Houston, but because of the Texas snowstorms, he had to take a flight to New York and missed his connection to Dubai where he had a nice room booked. I made it back to San Diego by 3:30 on Friday where Anna picked me up. An amazing trip! I had a busy weekend after I got home. I went wine tasting in Temecula on Saturday with Anna and her friends. It was in an area of Temecula, the DePortola Wine Trail, that I hadn't visited before. We started at Cougar Winery in the morning before going to Danza del Sol where we had lunch. Their 2008 Tempranillo (with it's hints of red licorice) was my favorite of the day. We ended up at the Robert Renzoni Vineyards where the friendly barman kept the girl's wineglasses full with extra pours. That night we had dinner at En Fuego with Anna's fellow law students. I ordered Chicken Mole for the first time. It had an interesting taste that I enjoyed, but I don't know if I will ever get it again. 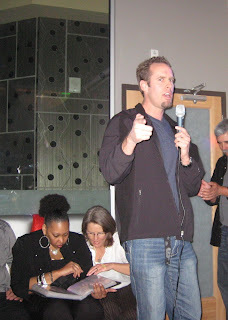 On Sunday, we went to the Super Bowl Party at Suzie's house. It was great because she and a lot of her friends are from Wisconsin so we were all wearing Green & Gold and rooting for the Green Bay Packers. It was pretty wild when they won. There was so much food.